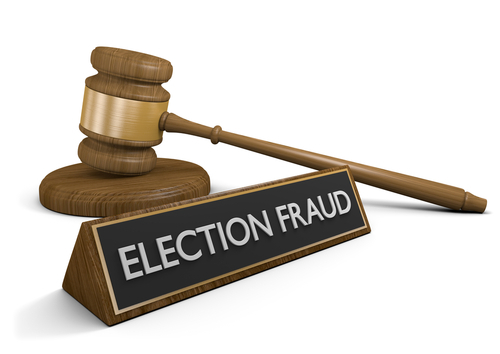 This page provides links to a variety of sources of reliable, verifiable information dealing with major elections fraud. Our most basic material is listed first, followed by other resources which delve deeper for those interested in more. Elections fraud and manipulation is by no means a partisan issue. We are very clear that all major political parties in all countries have at times committed elections abuses for many years, if not centuries. The elections information listed below shows serious improprieties on the part of both political parties in the United States which threaten the very base of our democracy. We recommend reading through this entire page before exploring the links provided. WantToKnow.info presents this information as an opportunity for you to educate yourself and others, and to inspire us to work together to strengthen democracy and build a brighter future for us all. The below compilation of summaries of major media articles and other critical information on elections manipulations gives an excellent overview of the problems we are facing in upholding democracy and what we can do about it. We have collected many news articles from highly respected media sources which contain eye-opening information exposing various aspects of the elections cover-up. Links are always provided to the original sources for verification. The first link below contains one-paragraph excerpts from incredibly revealing news articles with the most important articles listed first. The second link provides the same article excerpts listed by order of date posted to WantToKnow.info, while the third lists them by the article date. The fourth link below contains a list of only headlines and links to some of the most important articles. Below these four links, headlines and links to the entire text of several of the very best articles are also provided. Newsweek Reports on "most serious voting-machine flaws ever"
HBO's elections documentary Hacking Democracy is a highly revealing, 80-minute video uncovering crucial information about new computer voting systems, which allow a few powerful corporations to record our votes in secret. Both Republican and Democratic candidates found their votes blatantly manipulated, yet most of the media somehow failed to report these astonishing incidents. This is not a question of who or which party wins, but rather of whether or not we are living in a truly representative democracy. The second inspiring 90-minute video shows how one average American made a big difference in exposing what was going on. The third video, Votergate is a 35-minute investigative documentary feature film which also presents an abundance of excellent, reliable information. http://www.saveourelections.org/beast/2016/12/16/free-for-all... - Free For All! For the best, most concise introduction to elections information, we highly recommend our elections summaries. These fact-filled summaries provide revealing elections information from respected media sources with links direct to the articles on their media websites for easy verification of all information presented. When you read all of this information, you will likely join us in asking why no media organization is bringing all this information together to encourage voters to demand a return to a truly representative democracy. We have no doubt that by working together we can and will build a brighter future. When we step out of fear, secrecy, and polarization, we choose to join with the ever increasing numbers of people dedicated to working together for the good of all in our world. You can make a difference right now by sharing this information with your family, friends, and colleagues. Click on the "share" link at the top or bottom of this or any page on this website to help spread this valuable information far and wide. To contact your political representatives and the media, click here. All pages, especially our summaries, are also designed to print well so that you can copy and share the information given. If you would like to send a short email to friends and colleagues giving a concise, yet powerful introduction to the elections cover-up, click on the link below. And thanks for caring!